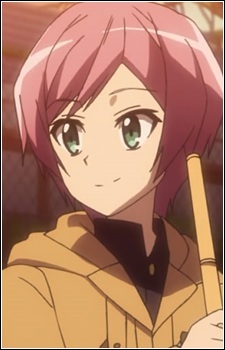 Haruka is the sixth of the nine Sakurada children and the middle son. He is twins with his sister Misaki. He tends to be the straight man in the antics of his siblings and remains calm. He is not interested in becoming king, and instead supports Misaki by helping her in her campaign. It is slightly hinted he may have feelings for Misaki. His ability makes him able to calculate the probabilities of any situation. He becomes the student council secretary of his middle school, while Misaki becomes the president.